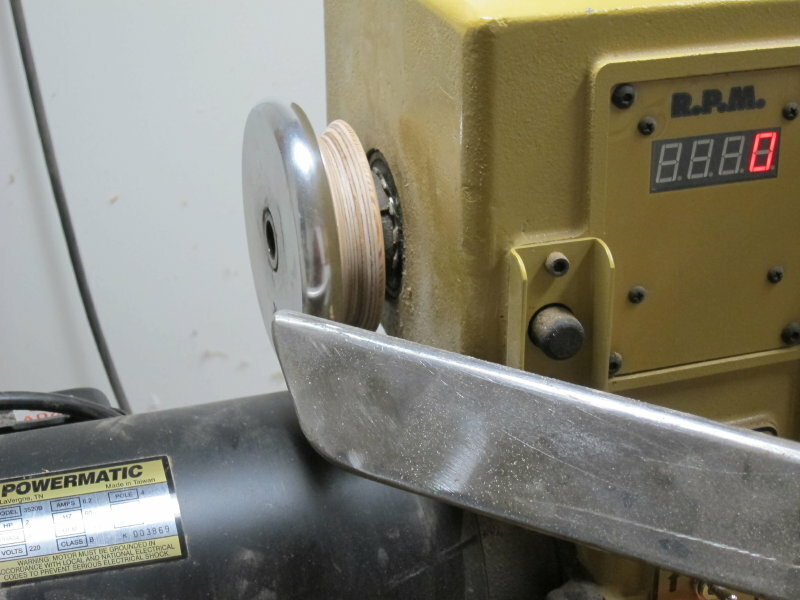 For years I have used a soft brake on my homemade lathe to facilitate sanding. 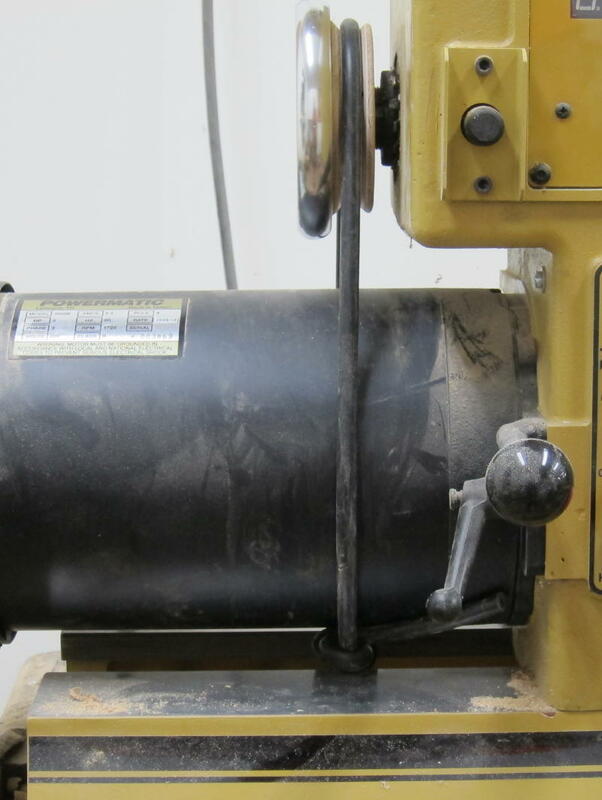 It resists the turning torque exerted by the spinning sander, but is loose enough to permit easy rotating by hand. I came up with the idea after I experienced the resistance to turning in one direction on the original variable motor I had which was DC. 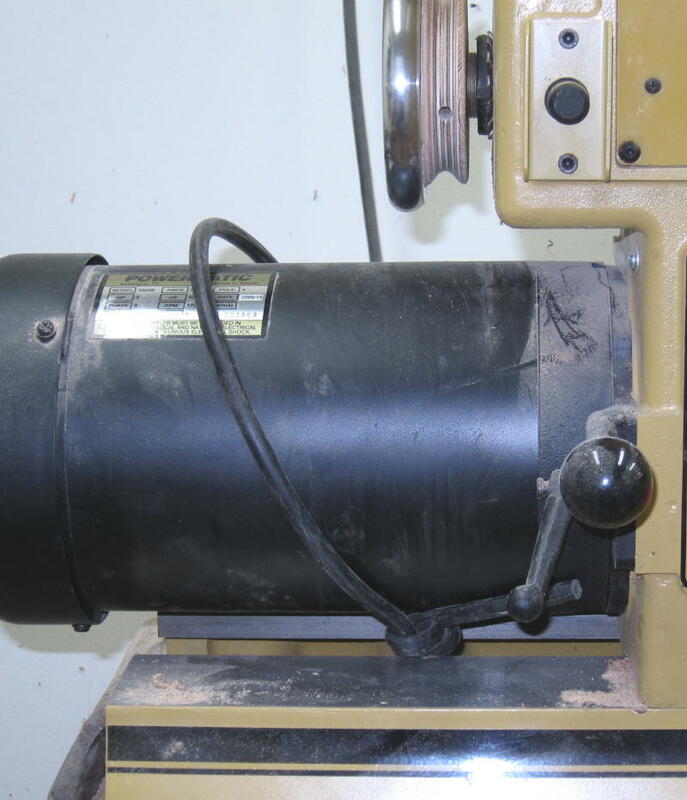 Said motor acted as a generator when not energized, and switching the motor directions switched the resistance to the bowl turning, and I found it most helpful while sanding. When I moved to three phase AC I lost that feature. Then I realized I could do the same with a bit of rubber tubing looped over the motor pulley. which is always available to loop the rubber tubing over with a little flick of the wrist. This is automotive tubing 3/8" OD, 5/32" ID. So how to do this on a Powermatic? Well, it turns out the handwheel is only attached by two set screws. 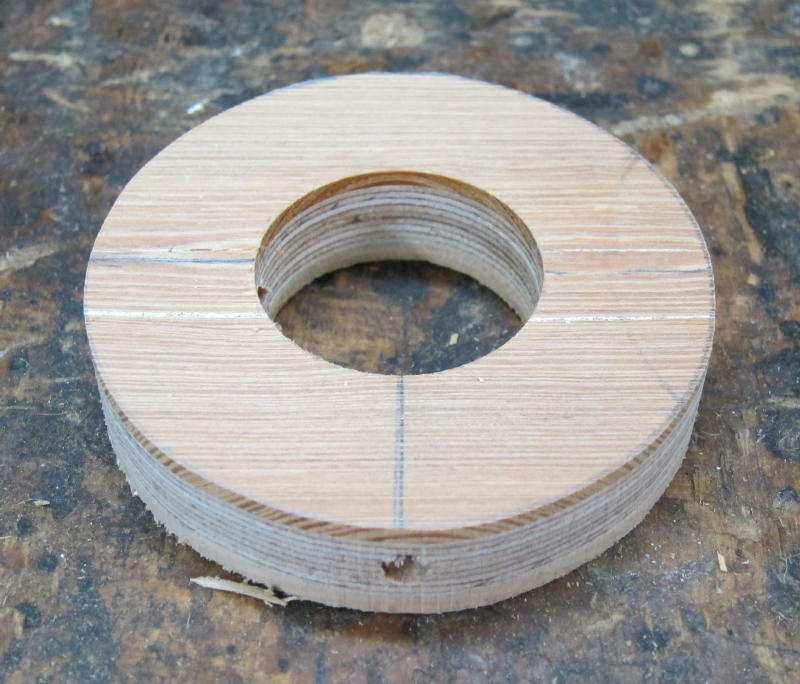 Here is the handwheel removed, and a piece of multi-ply 3/4" plywood with 4" circle traced out. Note the lines at 90 deg to locate the setscrew holes. Check the handwheel out carefully. It turns out mine were NOT at exactly 90 degrees. 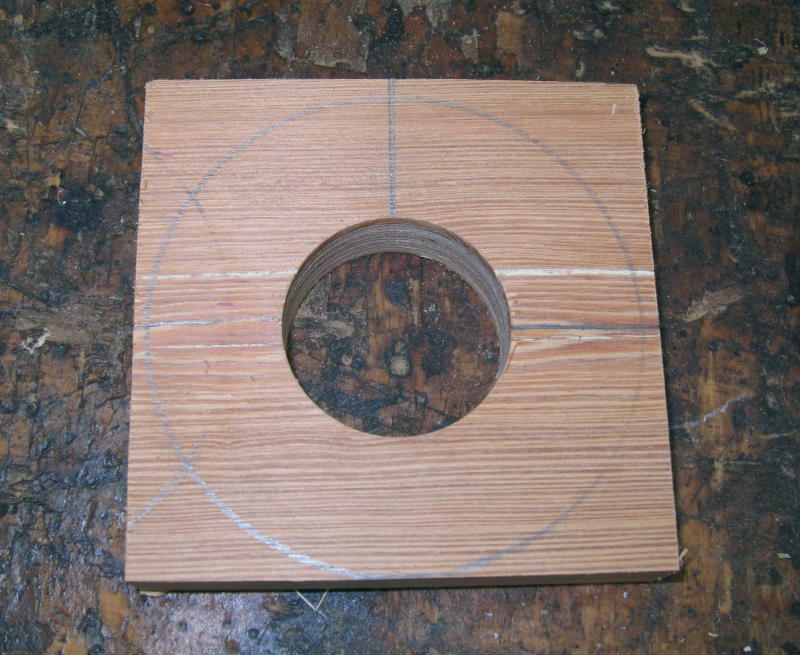 Plywood with 1 5/8" hole drilled with a good forstner bit, and 3 1/2" circle laid out. 3 1/2" seemed small enough to stay out comfortably out of my fingers' reach on the handwheel. 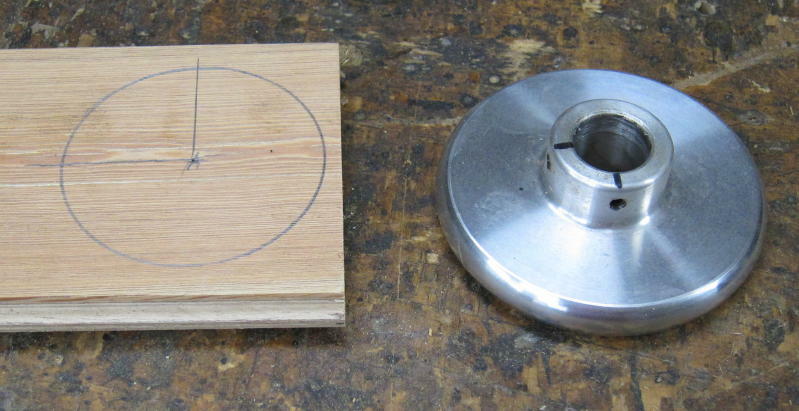 Whack the plywood (carefully) onto the handwheel. For me there was no need for glue. It was tight.. Replace handwheel on Powermatic and tighten setscrews. 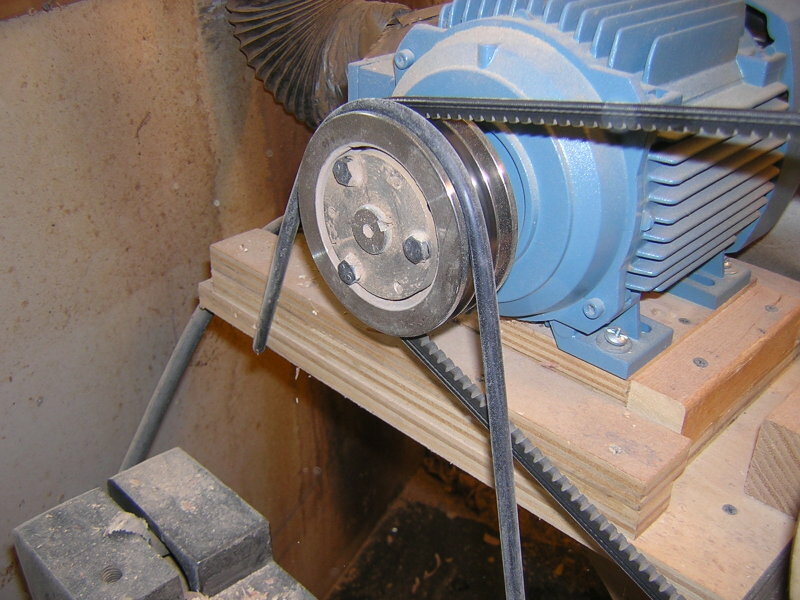 I swung my toolrest over as far as it would go, and turned a nice V-shaped pulley groove. 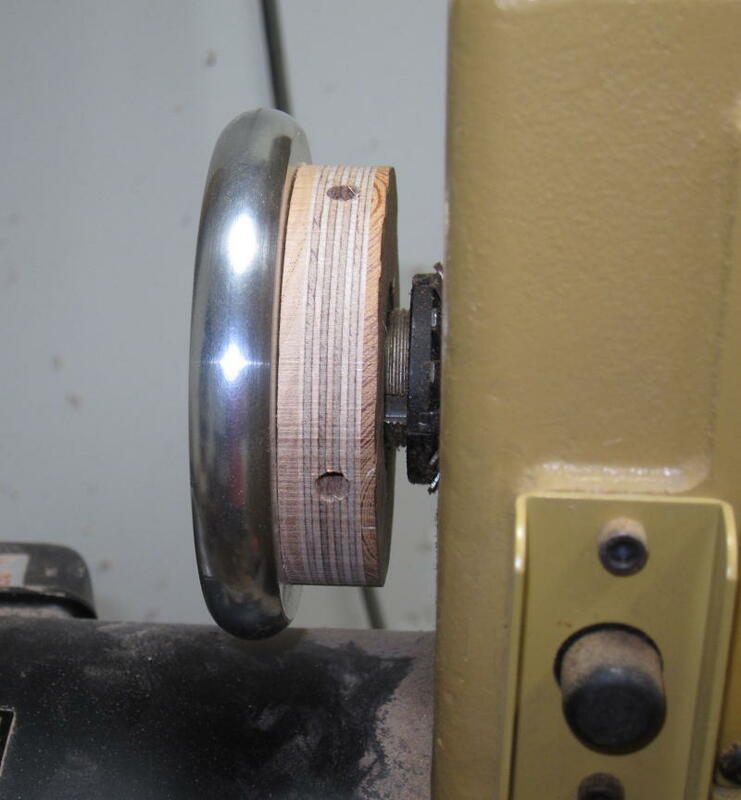 The plywood turned into a pulley and sanded smooth. which locks into place between the ways. Adjust the knot to give just enough drag. When not in use, the rubber tubing pulled off the handwheel pulley flops safely out of the way.....and stays there. 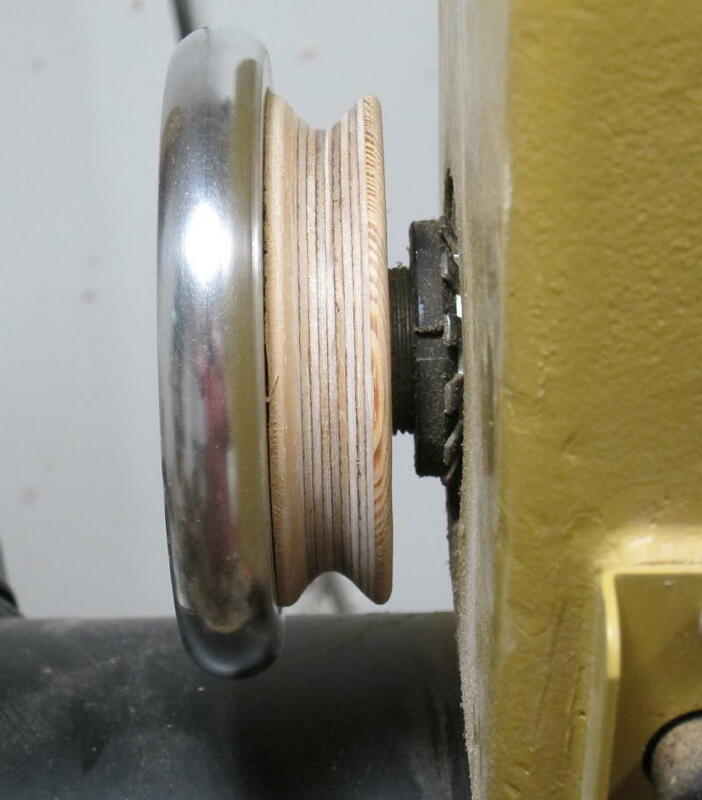 If you sand bowls in place on the lathe, and have been frustrated by all the times you have to set and re-set the indexing pin to hold the bowl still while you sand it, try this little trick. If you have a Powermatic, it's all here. 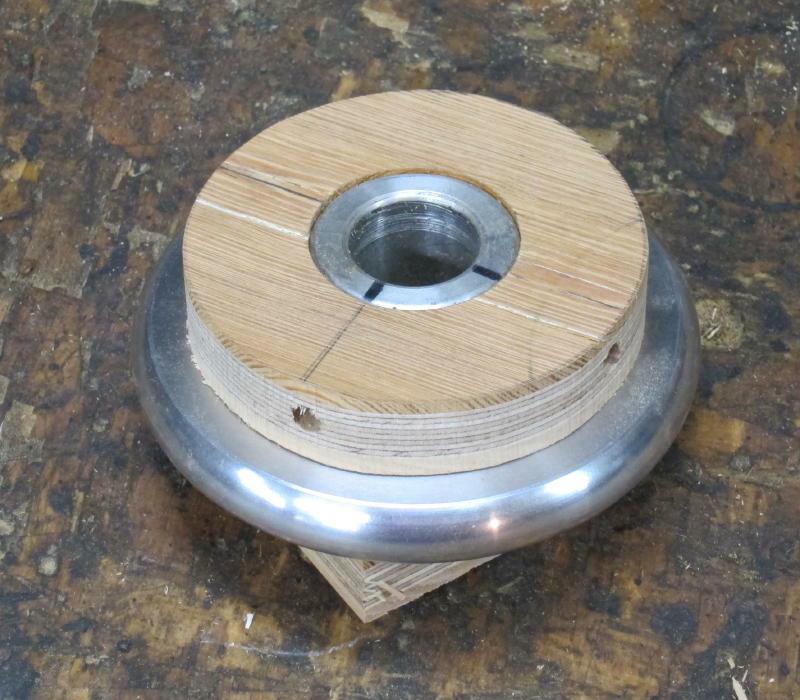 If you have a different lathe, maybe you can come up with a variation that works for you.